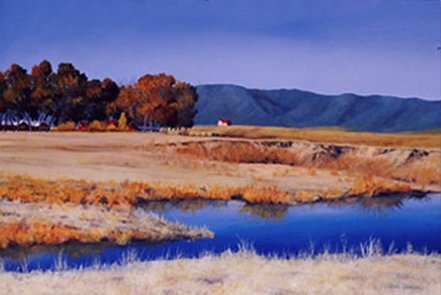 Bill Yankee produces original oils, pastels, etchings, and serigraphs that depict pristine western landscapes and images of contemporary ranch life. He also works in the medium of glass etching, creating unique, one-of-a-kind furniture and accessories. His work has been included in numerous national juried exhibitions, and is held in public and private collections across the United States, and in England and France. Yankee holds a Master of Fine Arts degree from the University of Wyoming, with additional study at the Art Students League of New York.